The Youth 1 session on Tuesday March 5th will be “Bring a Friend Night”. 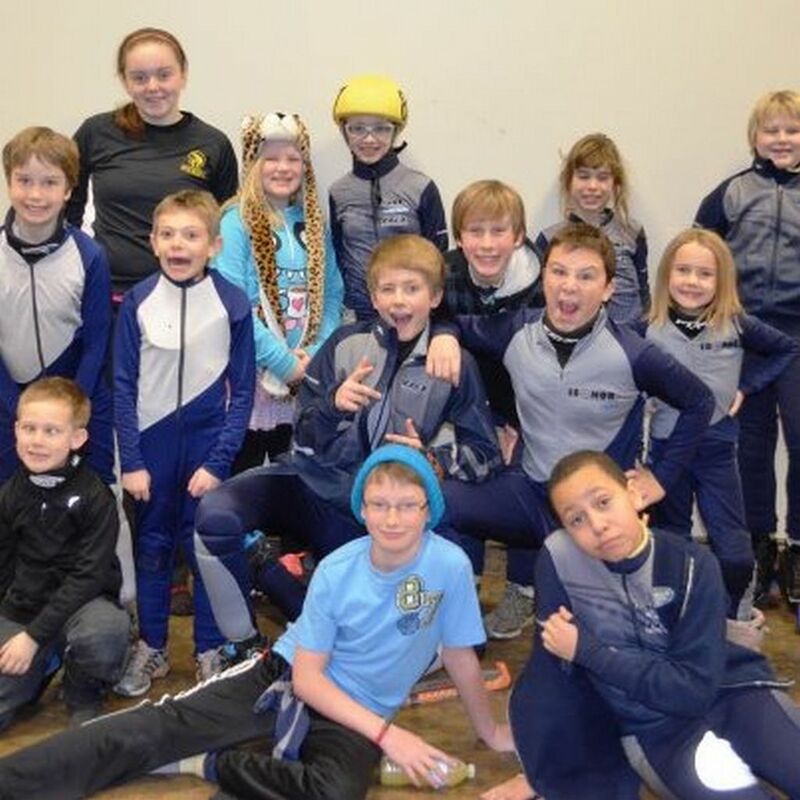 Friends and family are invited to come out and skate – bring your own helmets and skates. 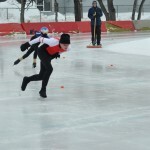 St Lawrence had a strong showing in the Canadian age class long track speed skating championships in Winnipeg Feb 8 and 9 with three local skaters representing Team Ontario at the competition. Nick Everett was 4th in the 13 year old male category. 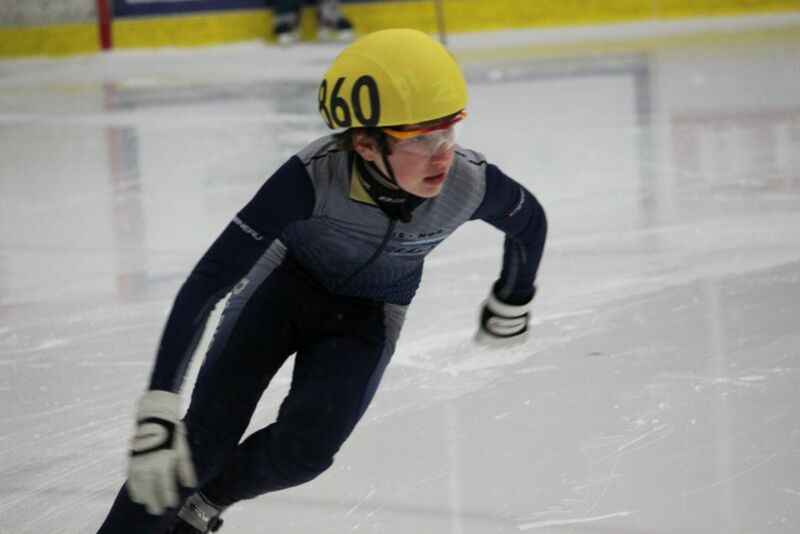 His 3000m time was the fastest in his age group at 5:08.82. 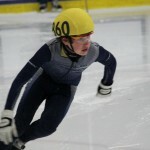 He was the top skater from Ontario in his age group. He placed 3rd for bronze medals in the 100m and 500m sprints. 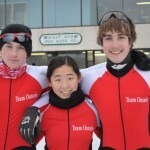 Connor Taugher was 11th overall in the 14 year old male group and was 2nd overall from Ontario. 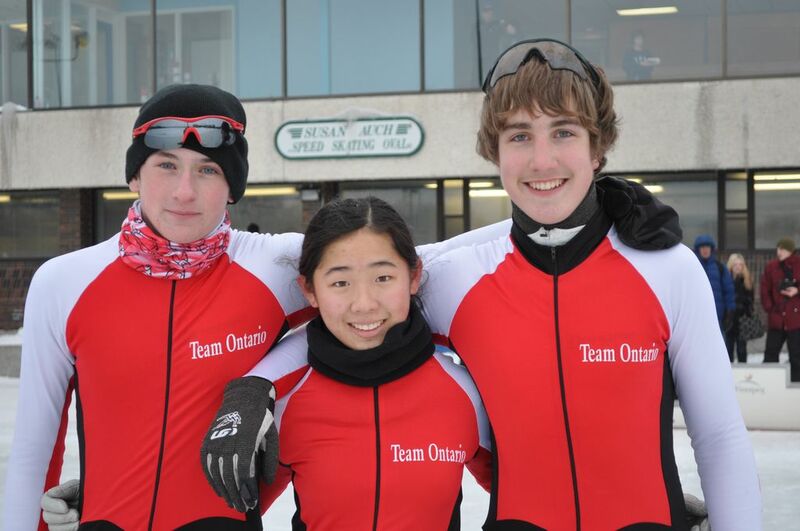 He had 2 top ten finishes (8th in 100m & 9th 300m)and was the top Ontario skater in both the sprints. Taugher was 12th overall in the 3000m. Chloe Segal placed 13th overall in the 12 year old female group. 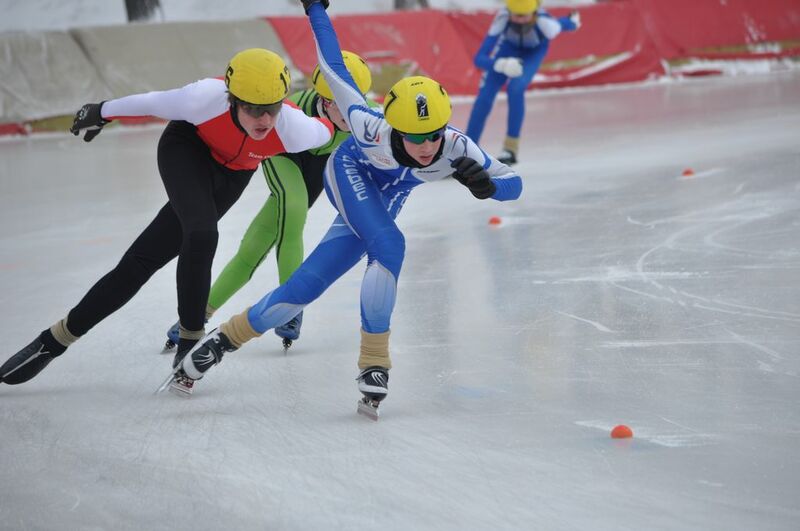 She was 10th in the 3000m, 14th in the 100m and 12th in the 500m races. The Final Competition Provincially for the Regional Short track series for 6-11 year old skaters will be in Oakville March 2 and 3rd, and for age 12 and older, including Masters, in Clarington March 9 and 10th. Please have your entry forms to Heather by Wednesday February 20th for either meet. Here is a link to the Oakville form and a link to the Clarington form. 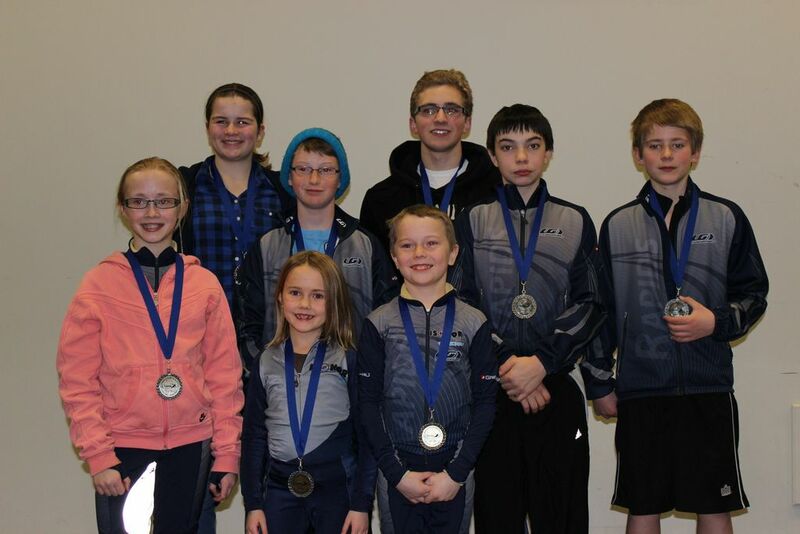 St Lawrence Rapids had a very successful Competition taking in 9 out of the 21 medals handed out on Feb 9, 2013 at the Brockville Memorial Centre. 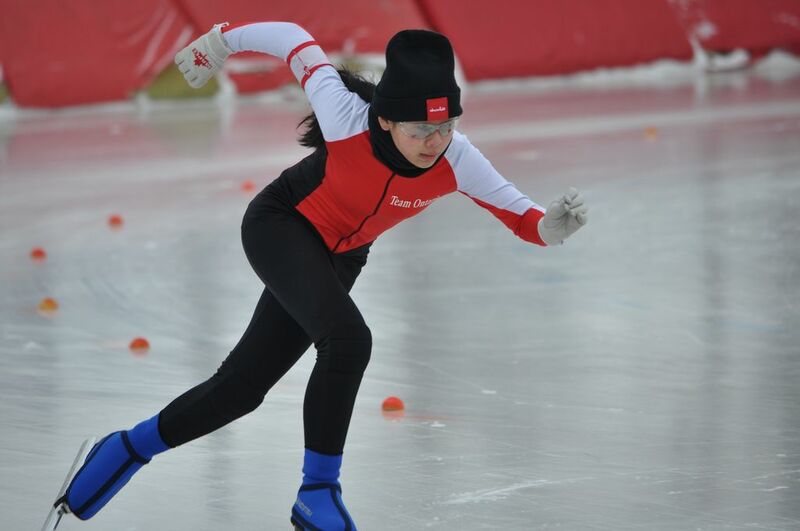 Many skaters recorded personal best times for the meet as well. 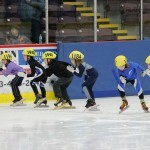 89 skaters participated from Speed skating Clubs in Kingston, Ottawa, Gloucester, Quinte (Belleville), Val Des Monts, Quebec and 6 skaters from Nunavut. Alpha Division: Tristan Brunet Silver and Bryony Schonewille Bronze. Golf Division: Andy Giroux 5th, Annella Roney 6th, Paige Besner 7th, Arie Devos 10th and Celia Giroux 11th. 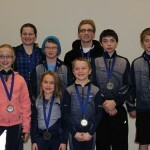 The skaters who have qualified for the Provincial series will complete their season February 24 and 24th in Kitchener for the Provincial Championships. 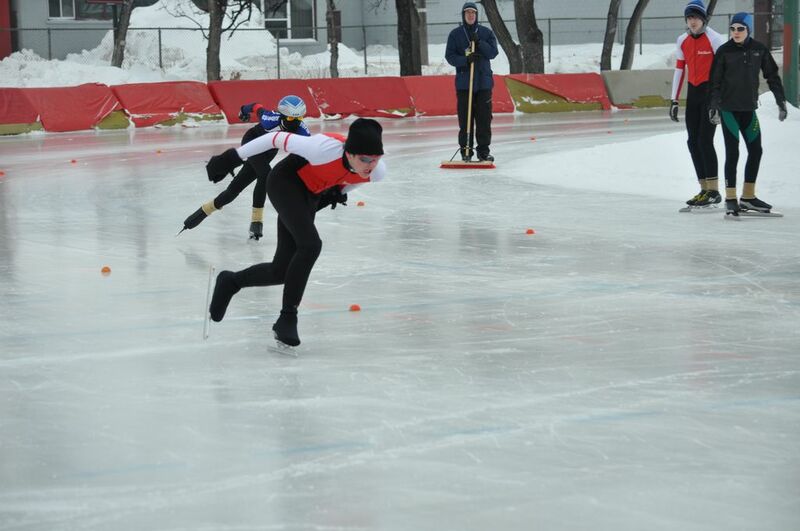 St Lawrence has 2 skaters who qualify for this series: Nick Everett and Chloe Segal. 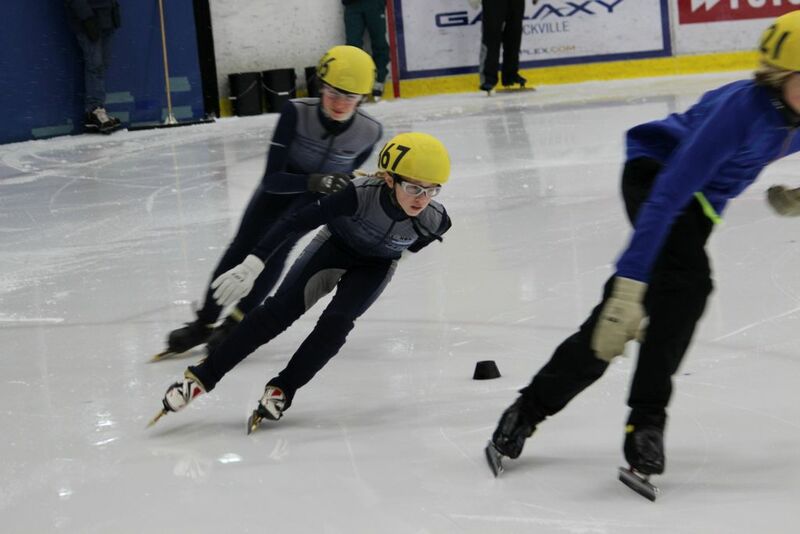 The Final Competition Provincially for the Regional Short track series for 6-11 year old skaters will be in Oakville March 2 and 3rd and for age 12 and older, including Masters in Clarington March 9 and 10th. Distances: Everyone gets three distances. 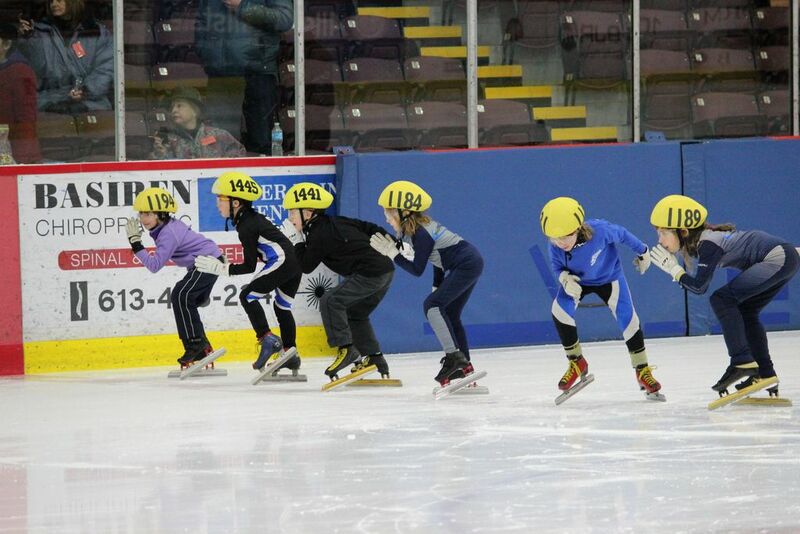 · Those 55+ years skate 500m, 777m and 1000m, plus optional 3000m relay. 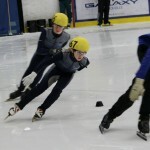 Registration: (skaters register themselves) online at www.safepayevents.com/MastersInternationalShortTrack (credit card or paypal). Deadline to register: March 1st or 175 participants, whichever comes first.